You are a photographer and you are looking for a possibility to earn money with your photos ? On this site I show you my own experiences; how much you can earn with agencies in the internet. In this overview I want to present my completely personal experiences with picture agencies. With the links on the site, you can directly register yourself at the agencies. If you already selling photos on different agencies, select for one of the agencies, which you do not know yet. If you are completely new on the stock market, begin in one or two agencies, make your own experience and come back to my site. All indicated are based on my own experiences, are strictly subjectively evaluated, without a requirement on correctness and natural, without any guarantee for anything. 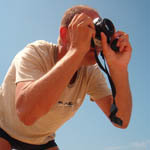 The market of photos in the internet is changing rapidly, so its not sure, that all information is up to date. All photos on this side are either mine or of nice colleagues those provited their pictures on photocase. thanks CMS Made Simple - CMS Made Simple is free software released under the General Public Licence.